The Mumbai-based rapper, who is credited with giving hip-hop a fillip in India, will also be releasing his debut EP in May 2018. The track, One Side bears all the characteristics of a DIVINE song – hard-hitting lyrics spit fast and furious, throwing shade at those who still don’t believe him. Shot in an abandoned tobacco factory in Mumbai, the video features the rapper and his Gully Gang crew, and Pavan Rao from the dance group Kings United. “I’ve been waiting to release this track for more than a year now and am glad that I can finally share it with my fans. It’s a track that I dedicate to them and the entire hip-hop community in India, we’re all on One Side,” says DIVINE of the song that is part of his debut EP. 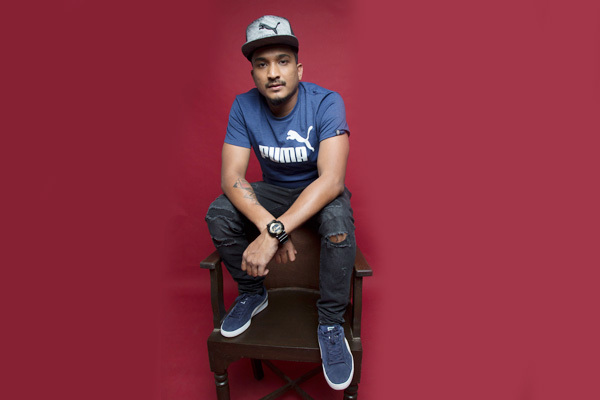 DIVINE’s last solo release was the single Farak in 2017, but has stayed in public consciousness with his work for Puma’s Suede Gully campaign that featured rappers and b-boy dancers from all over the country and his collaboration with Raja Kumari on City Slums. DIVINE also made his Bollywood debut last year with Paintra in Anurag Kashyap’s Mukkebaaz (2017), collaborating with good friend Nucleya. One Side comes hot on the heels of his recently-released collaboration with Amit Trivedi, Badla from the Irrfan Khan-starrer Blackmail that releases next month. DIVINE’s story ana d rise of the Indian rap scene also inspired Bollywood director Zoya Akhtar’s next directorial venture, starring Ranveer Singh, expected to be released in early 2019.